A multi-tenanted freehold investment opportunity in the Noosa Junction retail and commercial precinct on the Sunshine Coast has been sold at auction for well above the reserve for $3.06 million. The fully tenanted retail property in a premier location at 22 Sunshine Beach Road, Noosa Heads, was sold to a local investor by Ray White Commercial Noosa Directors Paul Butler and Paul Forrest on behalf of a local investor for a passing yield of 5.5 per cent. Mr Forrest said the property was on the market for the first time in 20 years and there was substantial interest with nine registered bidders at the on-site auction and 25 people in attendance. 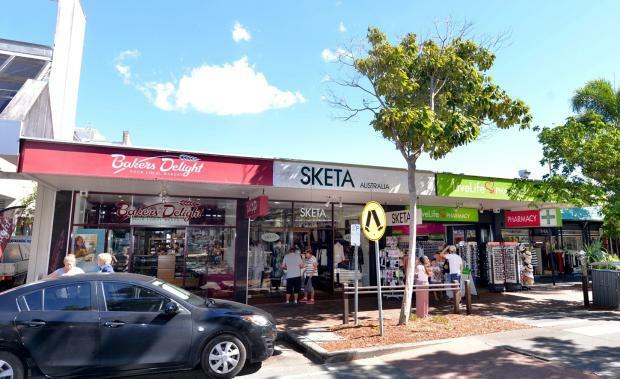 “We had more than 60 inspections of this single level retail building in the heart of Noosa Junction and 10 registered bidders at the auction which highlights the demand for high quality free standers,” he said. Mr Butler said the approximately 330 sqm building is currently occupied by four tenants, LiveLife Pharmacy, women’s clothing retailer Sketa, Bakers Delight and the Happy Brewer which sub-leases part of the pharmacy’s area. “The current weighted average lease expiry (WALE) for this property is a healthy 4.62 years, which is impressive considering the month to month tenancy of Sketa which has been in occupancy since September, 1995, and a monthly tenant since September, 2007,” he said. Mr Butler said the property is situated on a land area of approximately 506 sqm and is well positioned on the walkway that connects Sunshine Beach Rd to Lanyana Way. “The property enjoys a high level of pedestrian traffic flow as well as passing vehicular traffic,” he said.